Butlers and bubbly... the recipe to all perfect hen parties. A butler in the buff is a charming, and cheeky, addition to your hen party. This company – the world’s first and favourite naked butler company - is the best in the business, with a list of gorgeous men just waiting to entertain. The men are professional and sophisticated, ready to turn the Bride-to-Be very red in the face. The butlers can be dressed to suit the nature of your event, although they tend to be in a white collar, bow-tie, white cuffs and a fantastic apron revealing their pert buttocks. 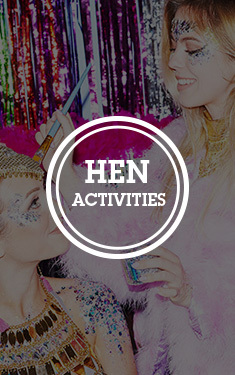 They’ll serve drinks and food at your hen party, as well as mix cocktails, greet guests with a cheeky wink and play games. The Bride will be in her element.